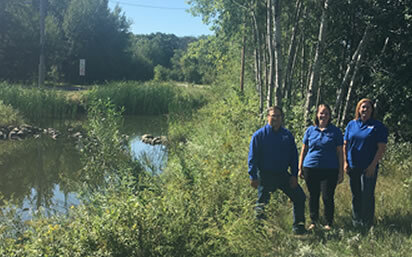 “We’re proud of The City of Isanti for what they’ve done for conserving the natural resources in Isanti County,” said Wayne Calander, board chair of the Isanti Soil and Water Conservation District. “It’s great to be able to recognize the work that they have done locally” Calander said. Groundwater Conservation: The City has elected to take part in a groundwater use audit at both the City Hall and Community Center. This audit will identify current water usage and cost-effective ways to reduce the amount of water they are using.